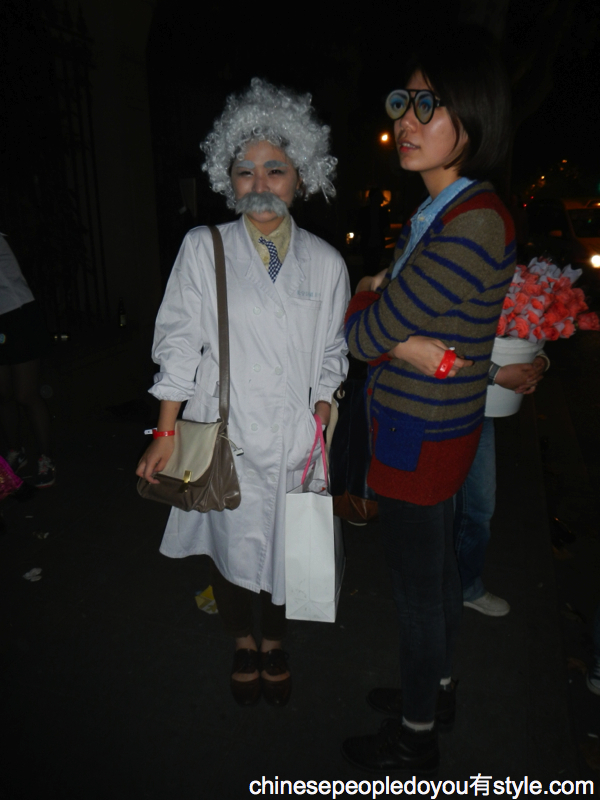 OK, I know what you all are thinking, but that’s not what happened this past Halloween weekend. 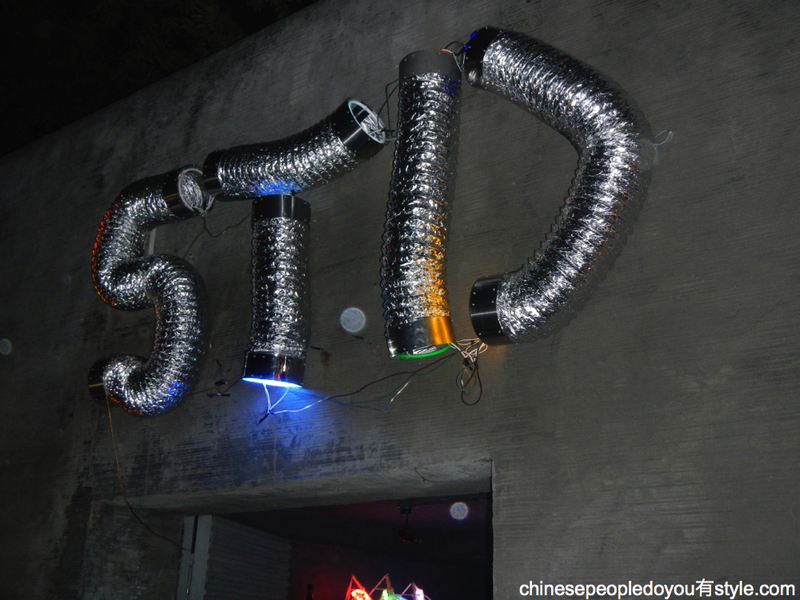 I did check out a party called STD, but I believe there were few to no contractions of any VDs at this party… STD is just a nasty sounding acronym to us English speakers, but to the cool kids on the Mainland it’s one of the best party-throwing organizations in town. 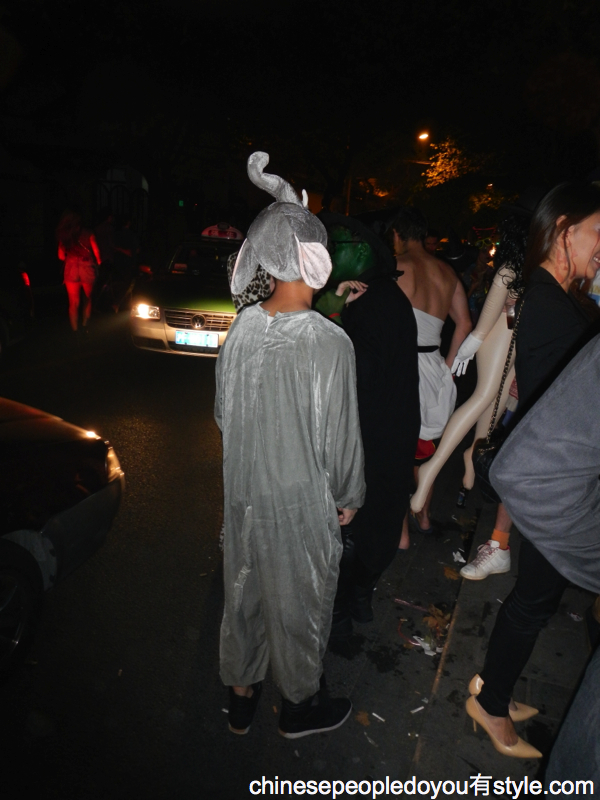 I also always love Chinese people in animal costumes, like this (Chinese) elephant. 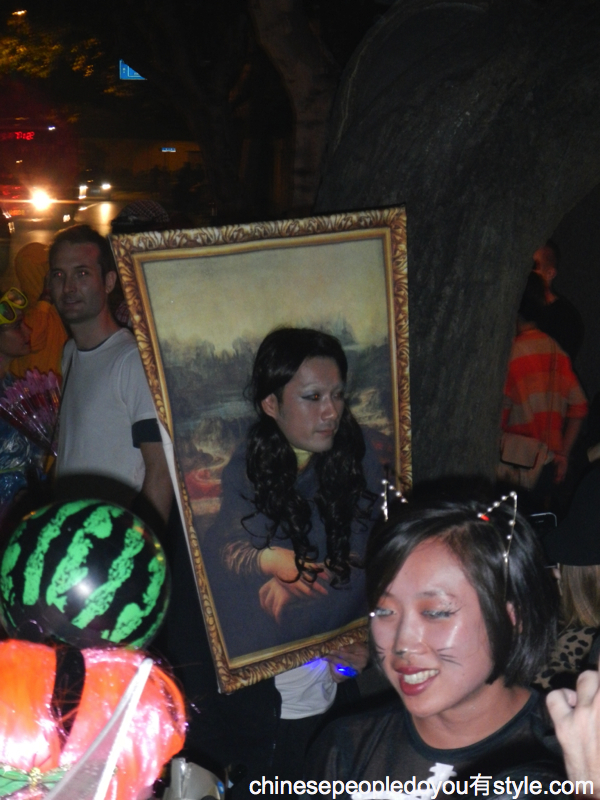 But the best costume had to be Mona Lisa, but I’m sure it wasn’t that comfortable in crowded places. I also love this picture because a watermelon fairy and a cat are photobombing this pic.